NaijaAgroNet reports that the regional host of the 12th annual celebration, which attracted over 200 young people and high-level experts, reviewed key environmental issues impacting Africa, including illegal wildlife crime, forest conservation and food security. 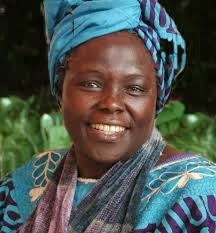 The event which dovetails with Wangari Maathai Day, a celebration of the life and work of the Green Belt Movement founder is organized by the United Nations Environment Programme (UNEP), the Government of Kenya and the Green Belt Movement. Professor Maathai was Africa's first female Nobel laureate, a champion of grassroots environmental activism and a fervent defender of biodiversity. She was also the inspiration for the Billion Tree Campaign, which UNEP began in 2006. Eight years later, 13.8 billion trees have been planted under the campaign, which is now run by the Plant for the Planet Foundation. "The Green Economy transition is already well underway in Africa," said UN Under-Secretary General and UNEP Executive Director Achim Steiner. "From plugging into solar power in Algeria and Tunisia to investing in green funds in South Africa, diverse pathways to greener and more-inclusive economies are being pursued across the continent."